Out of all of Les Paul's many achievements--inventor, guitarist, hit recording artist--Les is most beloved among musicians for the Les Paul Standard, one of the most sought-after guitars in the world. And now, the Epiphone Les Paul Standard Plustop and Quilt Top PROs give the legend a fresh start with ProBucker-2™ and ProBucker-3™ pickups with coil-splitting, a AAA flame maple or quilt veneer tops. Epiphone's history with legendary guitarist and innovator Les Paul dates back to the early 1940s when Les, working nights at the Epiphone factory on 14th Street in New York City, created his prototype solid body electric guitars, better known as "The Log." 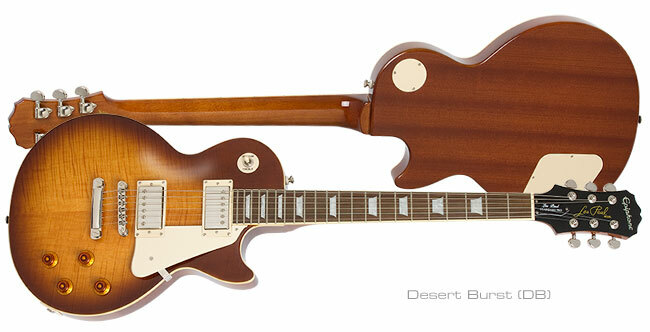 Over the next 15 years, Les continued to develop his dream guitar that would "sustain for days" and in the late '50s, the historic Kalamazoo factory made that dream come true with the "sunburst" Les Paul Standard and its new pickup, the "PAF" humbucker. 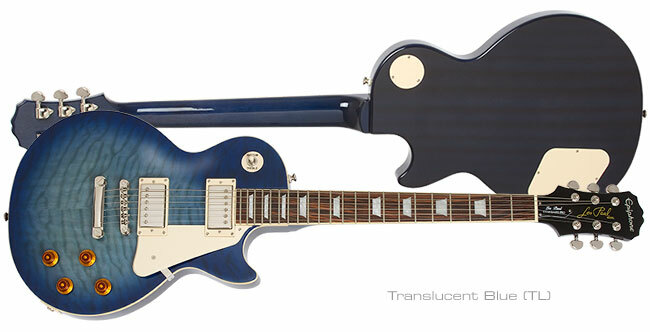 Players like Joe Bonamassa, Slash, Ace Frehley, Zakk Wylde, Jimmy Page, Alex Lifeson and countless others get their signature sound from a Les Paul Standard and now Epiphone gives you a chance to experience that one-of-a-kind tone at an affordable price with the Les Paul Standard Plustop PRO and Les Paul Standard Quilt Top PRO. Both feature Pro-Bucker™ "PAF"-style pickups with coil-splitting, new colors and either a beautiful AAA flame maple or quilt maple veneer top for a vintage look with all the modern appointments that players expect from Epiphone. AAA Flame Maple Top and Classic Features: The Epiphone Les Paul Standard Plustop PRO features a solid mahogany body with a AAA flame maple veneer top that delivers the classic tone and sustain that can only come from a "real" Les Paul. The body also features single ply cream binding on the top for a beautiful vintage look. 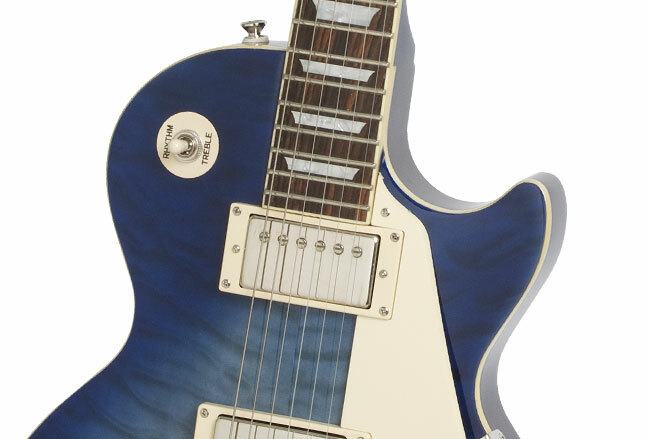 Like all Epiphone Les Pauls--and unlike less costly designs--the Epiphone Les Paul Standard Plustop PRO features a 14 degree, angled headstock that gives you more pressure at the nut for longer sustain with less tuning hang-ups caused by "string-tree" gadgets. The mahogany neck has a 24.75" scale with a 12" radius and features a 1960s SlimTaper™ "D" profile with a glued-in neck joint for lifelong stability. The rosewood fingerboard comes with mother-of-pearl trapezoid inlays, 22 medium-jumbo frets, a 1.68" nut, and 1-ply cream binding. Epiphone Pro-Bucker™ Humbuckers with coil-splitting: The Epiphone Les Paul Standard Plustop PRO now features Pro-Bucker™ pickups for that one-of-a kind Les Paul sound. 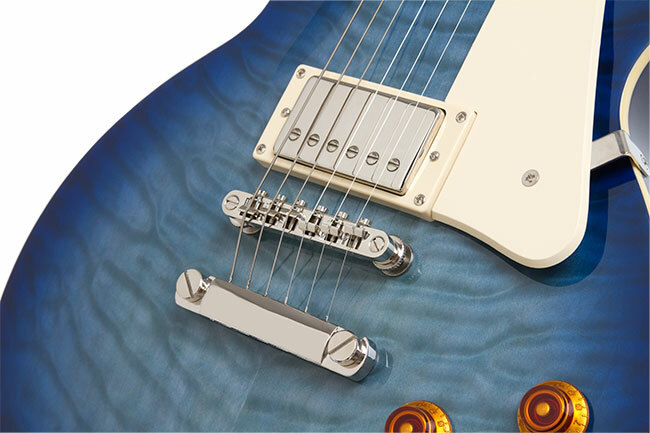 Pro-Bucker™ pickups feature Alnico II magnets, the same magnets used in sought-after vintage PAF humbuckers. 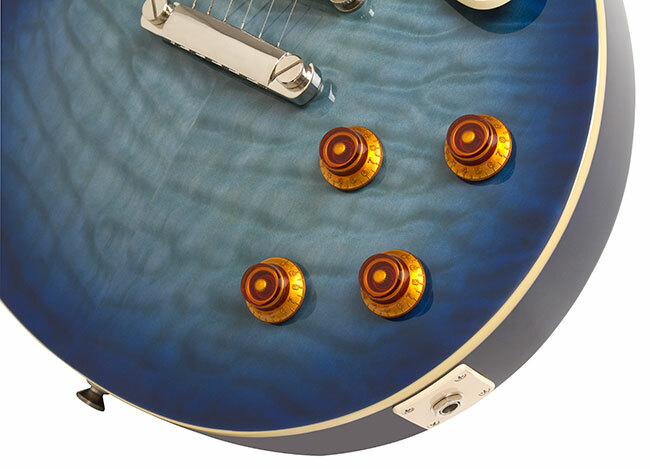 Alnico II magnets provide a rich, warm tone with a sparkling high end and a solid low end. The Les Paul Standard Plustop PRO features a Pro-Bucker-2™ in the neck position and a Pro-Bucker-3™ in the bridge position. The Pro-Bucker-3™ is slightly overwound to provide balance with the neck pickup and a bit of edge for lead work. Pro-Buckers™ emulate the sound of original PAF pickups which were hand-wound with a few extra turns of wire. Both the neck and bridge pickups now also feature coil-splitting, controlled by a push/pull volume control, allowing players an infinite variety of pickups sounds from single-coil bark to full humbucker bite. Hardware to Last a Lifetime: The Epiphone Les Paul Standard Plustop PRO features Epiphone's legendary rock-solid hardware including a LockTone™ Tune-o-matic fully adjustable bridge and a Stopbar tailpiece. 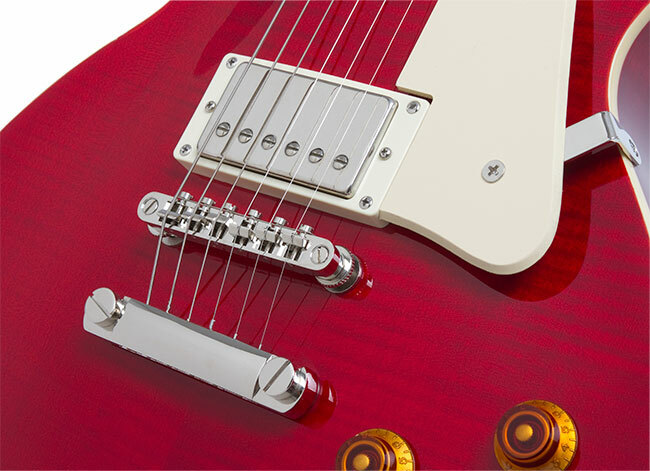 And now Epiphone's updated, patent pending design auto locks the bridge and tailpiece in place with no tools needed! This also results in improved sustain. 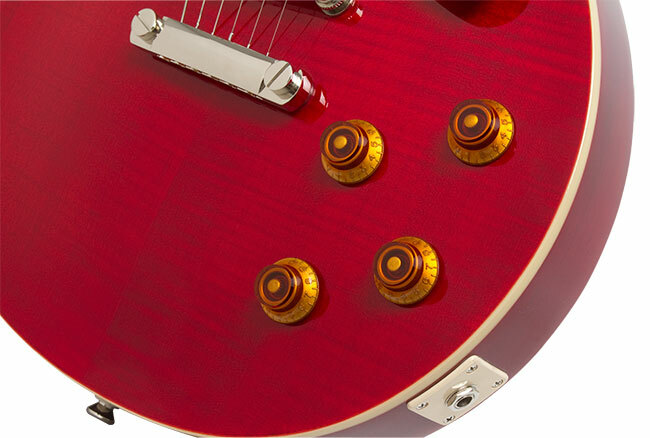 The Epiphone Les Paul Standard Plustop PRO uses 1" diameter potentiometers for better "throw," longer life and reliable service. Epiphone's all-metal toggle switches use rugged spring-steel contacts to ensure years of reliable service and performance. Epiphone's proprietary all-metal º" non-rotating output jack features an improved contact shape and heavy-duty spring steel to increase reliability and Grover™ 14:1 machine heads to ensure tuning stability and long life. Peace of Mind: Like every Epiphone, the Epiphone Les Paul Standard Plustop PRO features a Limited Lifetime Warranty backed by world famous 24/7/365 Gibson Customer Service. 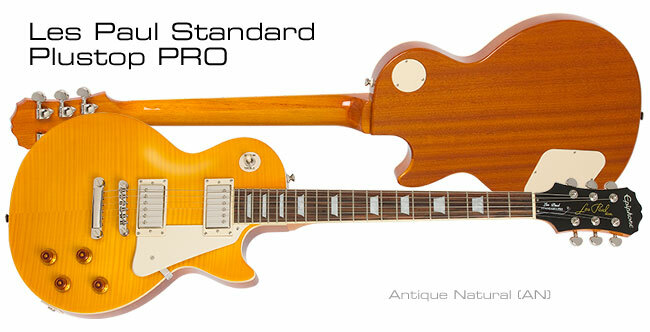 Be part of history today with the Les Paul Standard Plustop PRO. Pro-Bucker™ pickups with LockTone Tune-o-matic and Stopbar. Classic Les Paul single-cutaway lines with AAA Tops. Push/Pull Coil Tapping for Expanded Tonal Possibilities. AAA Quilt Maple Top and Classic Features: The Epiphone Ltd. Edition Les Paul Standard Quilt Top PRO features a solid mahogany body with a AAA quilt maple veneer top that delivers the classic tone and sustain that can only come from a "real" Les Paul. The body also features 1-ply cream binding on the top for a beautiful vintage look. 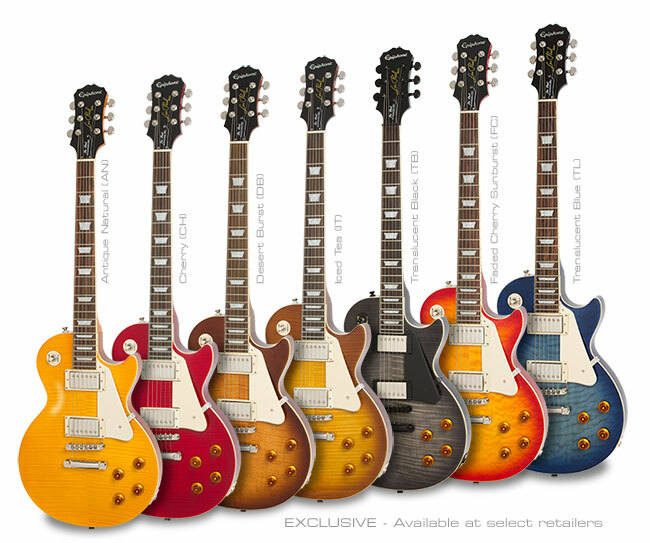 Like all Epiphone Les Pauls--and unlike less costly designs--the Epiphone Ltd. Edition Les Paul Standard Quilt Top PRO features a 14 degree angled headstock that gives you more pressure at the nut for longer sustain with less tuning hang-ups caused by "string-tree" gadgets. The mahogany neck has a 24.75" scale with a 12" radius and features a 1960s SlimTaper™ "D" profile with a glued-in neck joint for lifelong stability. The rosewood fingerboard comes with pearloid trapezoid inlays, 22 medium-jumbo frets, a 1.68" nut, and single ply cream binding. Epiphone ProBucker™ Humbuckers with coil-splitting: The Epiphone Ltd. Edition Les Paul Standard Quilt Top PRO now features Pro-Bucker™ pickups for that one-of-a kind Les Paul sound. Pro-Bucker™ pickups feature Alnico II magnets, the same magnets used in sought-after vintage PAF humbuckers. Alnico II magnets provide a rich, warm tone with a sparkling high end and a solid low end. The Les Paul Standard Quilt Top PRO features a Pro-Bucker-2™ in the neck position and a Pro-Bucker-3™ in the bridge position. The Pro-Bucker-3™ is slightly overwound to provide balance with the neck pickup with an added bit of edge for lead work. Pro-Buckers™ emulate the sound of original PAF pickups which were hand-wound with a few extra turns of wire. Both the neck and bridge pickups now also feature coil-splitting, controlled by a push/pull volume control, allowing players an infinite variety of pickups sounds from single-coil bark to full humbucker bite. 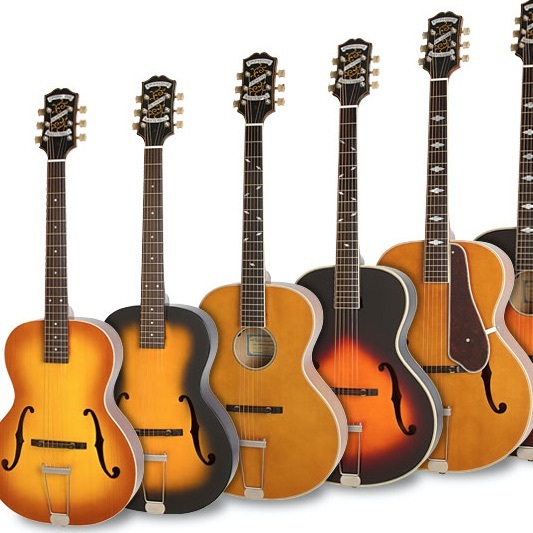 Hardware to Last a Lifetime: The Epiphone Ltd. Edition Les Paul Standard Quilt Top PRO features Epiphone's legendary rock-solid hardware including a LockTone™ Tune-o-matic fully adjustable bridge and a Stopbar tailpiece. And now Epiphone's updated, patent pending design auto locks the bridge and tailpiece in place with no tools needed! This also results in improved sustain. 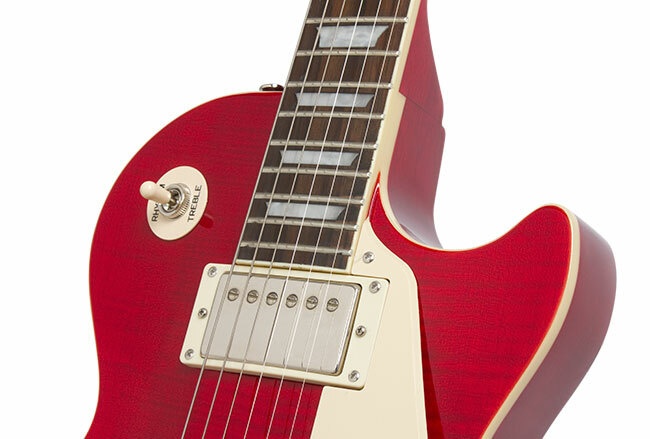 The Les Paul Standard Quilt Top PRO uses 1" diameter potentiometers for better "throw," longer life and reliable service. Epiphone's all-metal toggle switches use rugged spring-steel contacts to ensure years of reliable service and performance. Epiphone's proprietary output jack features an improved contact shape and heavy-duty spring steel to increase reliability and Grover™ 14:1 machine heads to ensure tuning stability and long life. 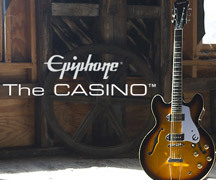 Peace of Mind: Like every Epiphone, the Epiphone Ltd. Edition Les Paul Standard Quilt Top PRO features a Limited Lifetime Warranty backed by world famous 24/7/365 Gibson Customer Service. Make history today with the Ltd. 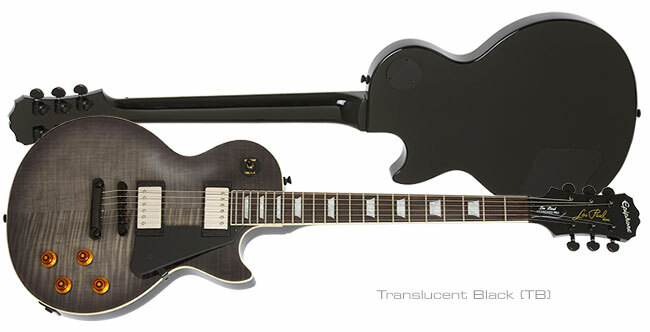 Edition Les Paul Standard Quilt Top PRO. 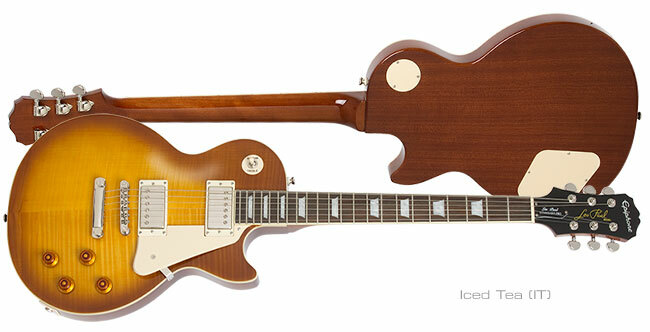 Classic Les Paul single-cutaway lines with Quilt Maple veneer.